Constructed and carved from sandstone and granite slabs, the piece reflects the land structure, and expresses the rural culture which formed it over millennia. 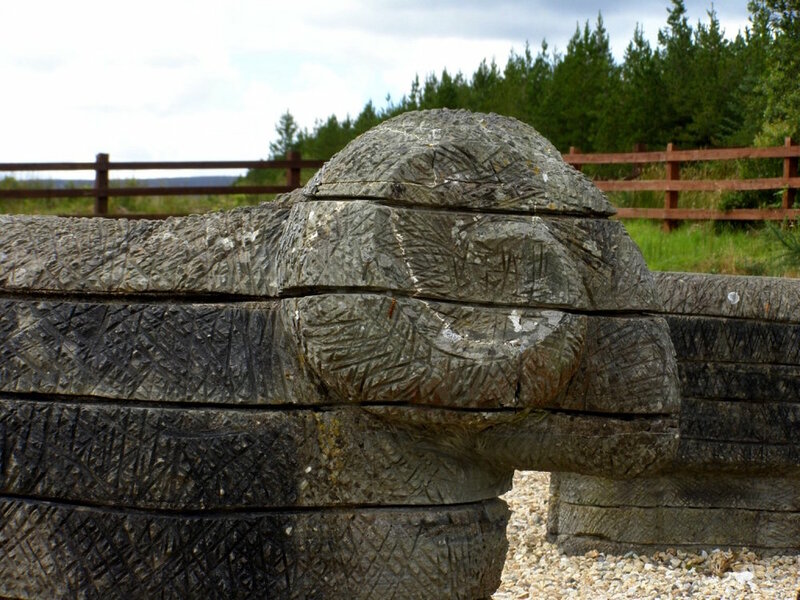 The sculpture is located at Ballinaboy visitors’ farm and celebrates the long tradition of local sheep farming, sustained on the marshy terrain of the region. The work was constructed from Lacken sandstone, together with local granite. Each form is made up of a number of stone layers, which reflect the natural stratification of the land. On the Glenamoy/Belmullet road at Bellanaboy Bridge, take the road to Bangor, 400 yards on, before the Bridge on the West side of the road is the work.